United States Colored Troops (U.S.C.T.) recruiters in 1863 fanned out along the railroads, especially in Tennessee, stopping at depots along the route to sign up soldiers. 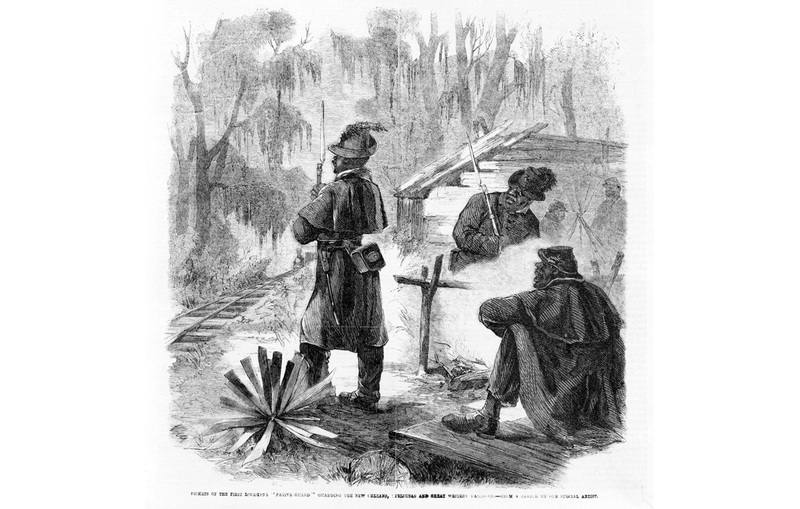 Over 180,000 black men volunteered and enlisted for service in the U.S.C.T. Both white regiments and U.S.C.T. units found themselves guarding railroads and watching for guerrillas.